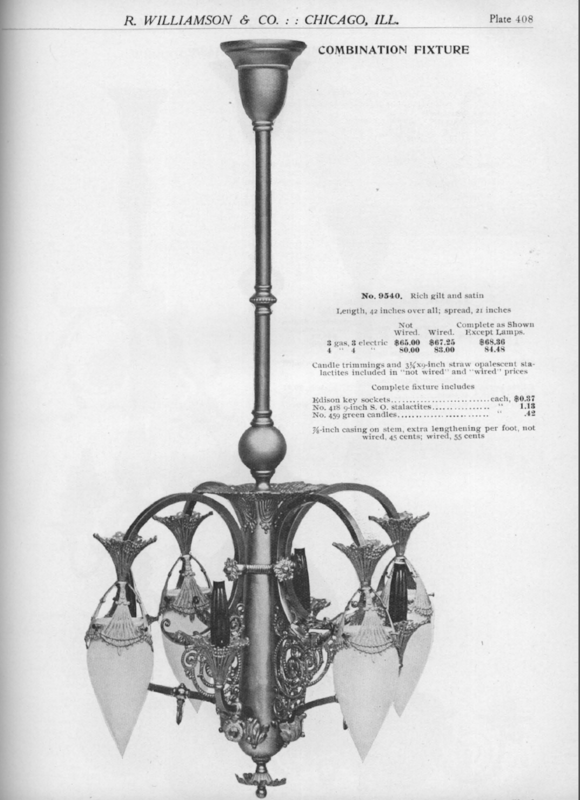 Circa 1905. 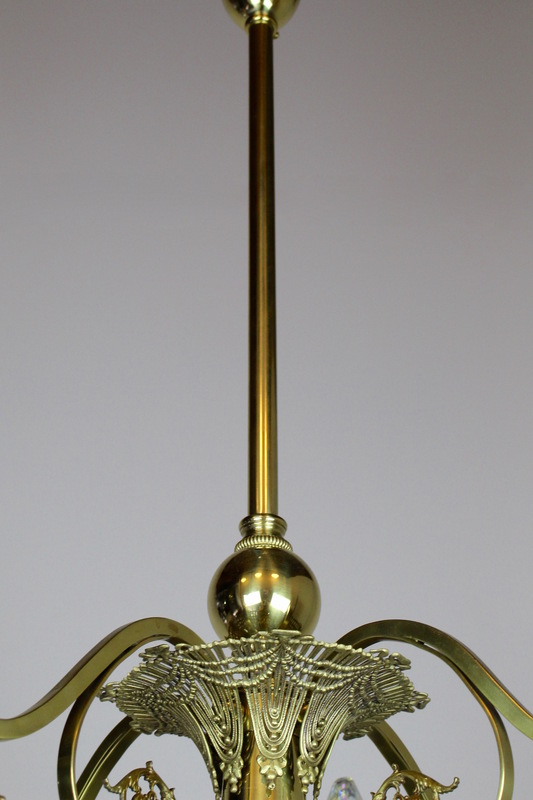 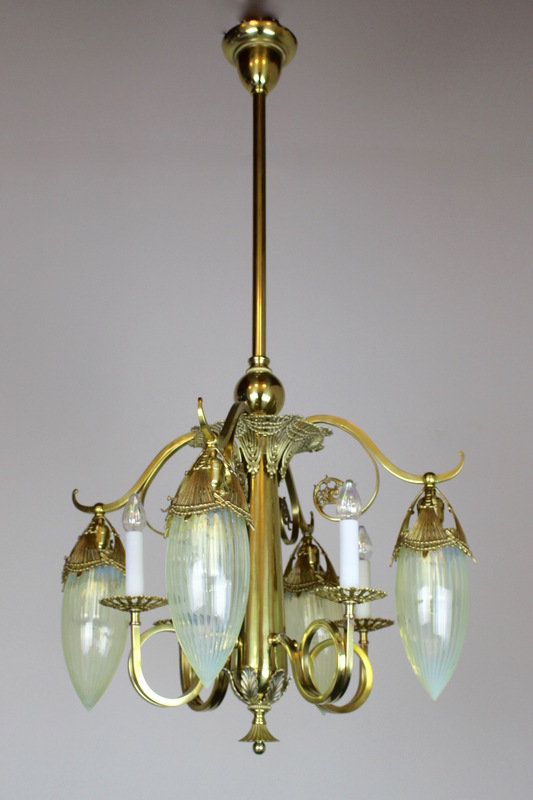 This converted gas-electric chandelier embodies true “Empire” style in its airy design, asymmetrical lines, with a clear French influence. 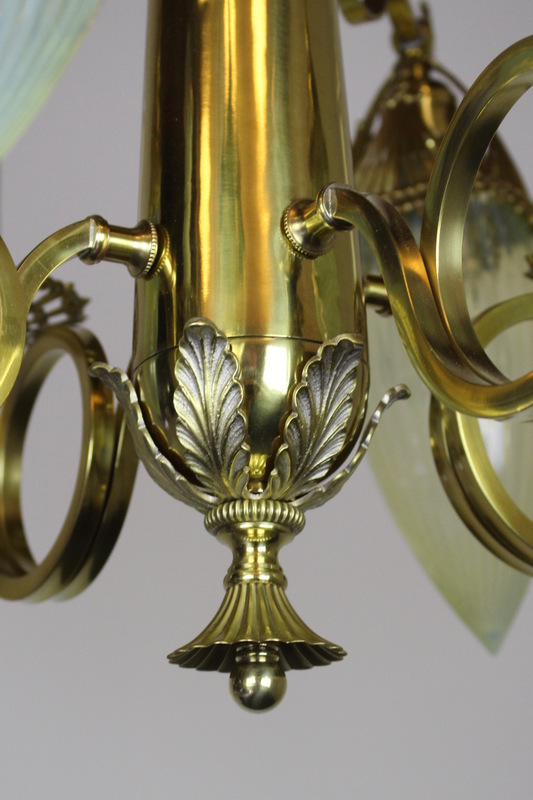 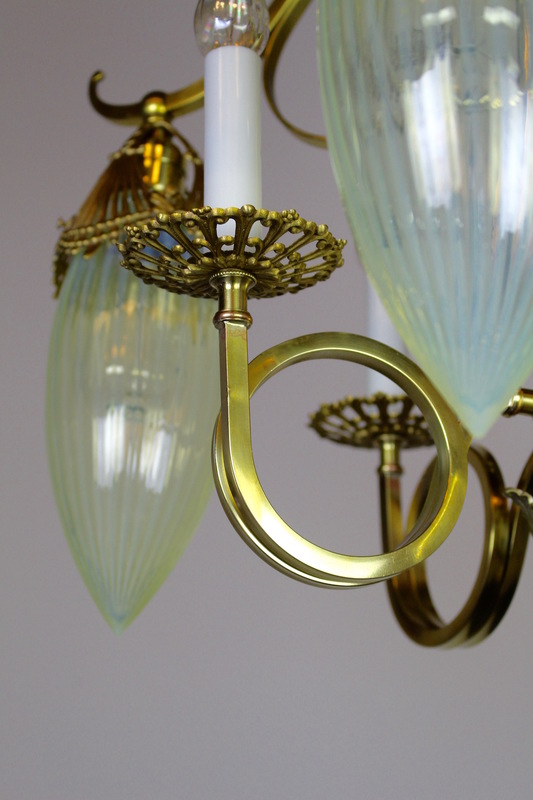 Restored to its original golden satin finish, this light has been brought back to its original splendour in every detail. 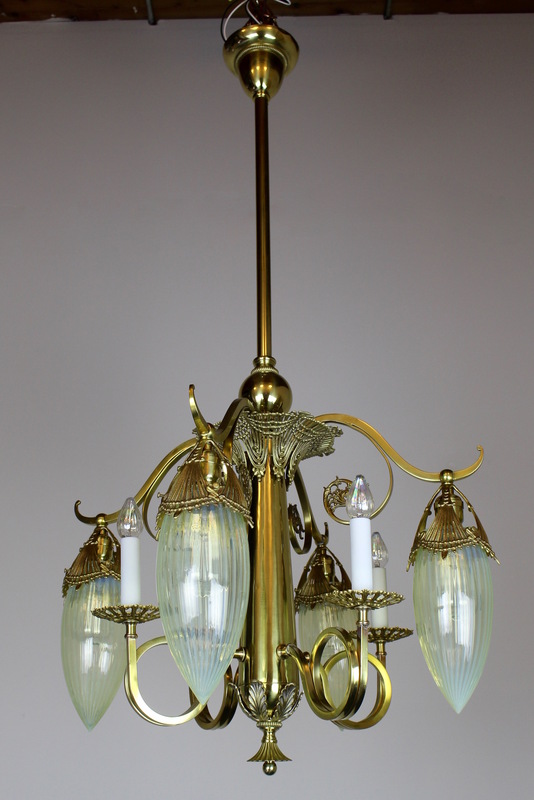 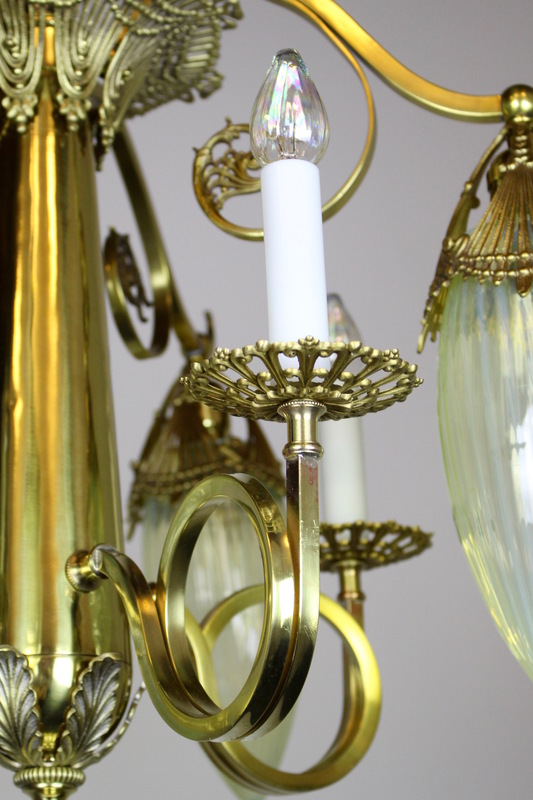 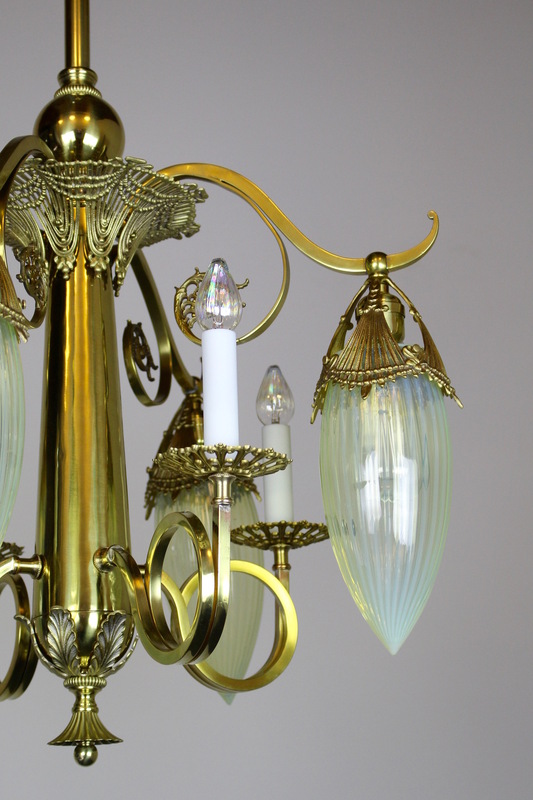 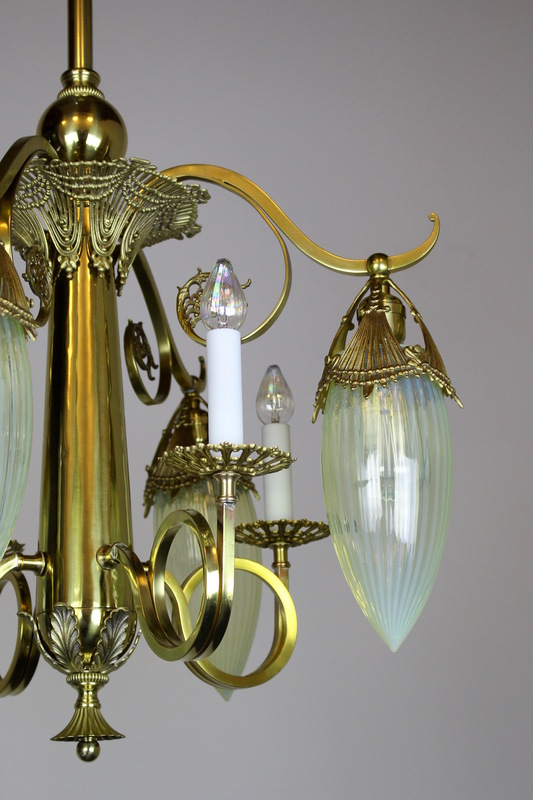 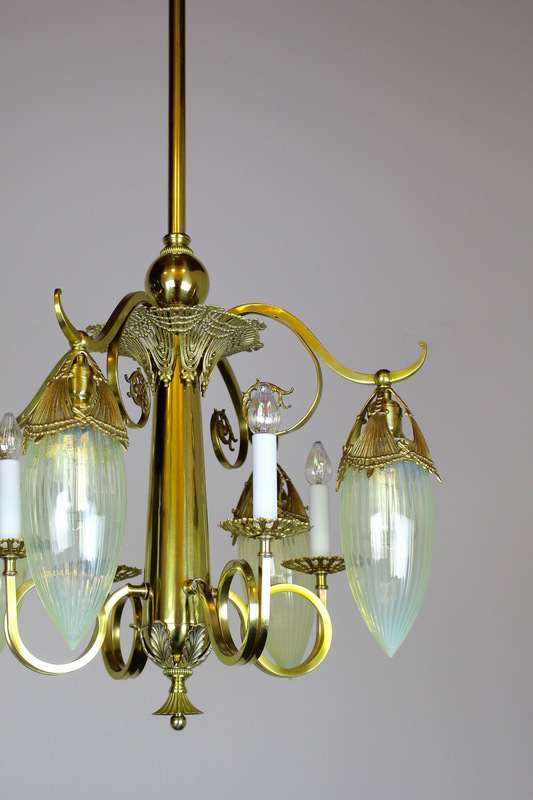 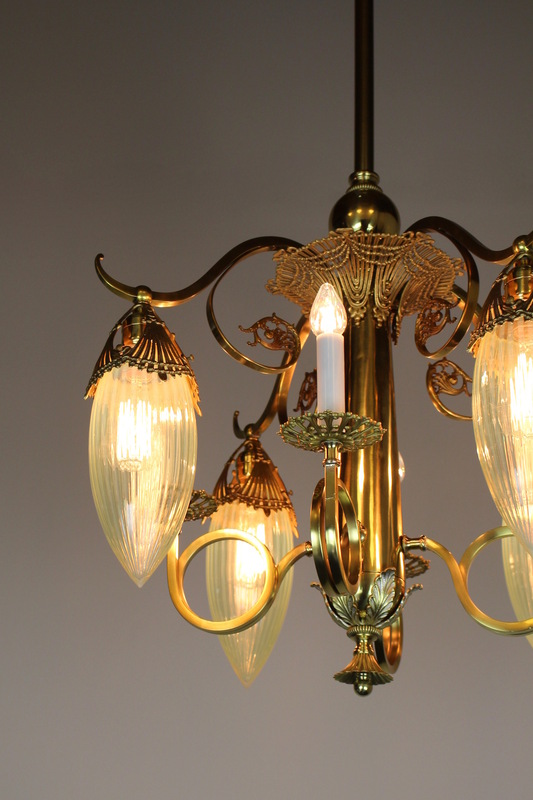 See more: Antique Ceiling Lights, Antique Chandeliers, Antique Lighting, Featured Items.